While in Otaru, Hikkaido, I was having dinner and got chatting to the Japanese guy next to me. He shouted me a beer – then he took me to all the flashest bars in town. He invited me to his shop the next morning, but I had no idea what I was in for. 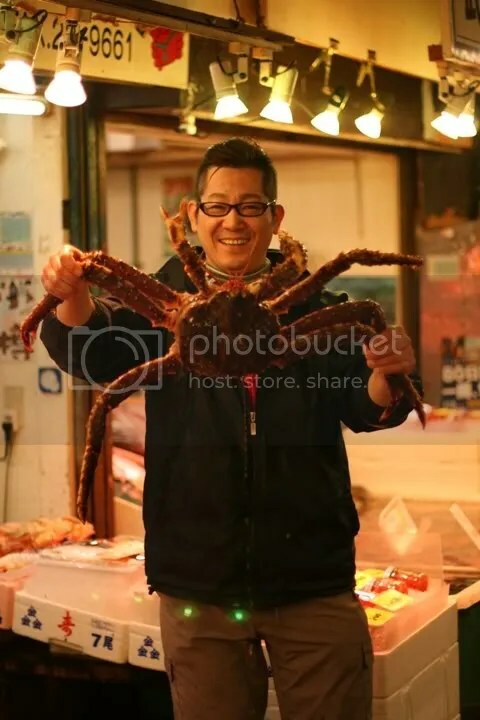 It turned out that he was the owner of a fresh seafood shop and restaurant, and he sat me down and fed me a whole crab, half BBQ and half boiled! Thanks, Sato Ichirou!